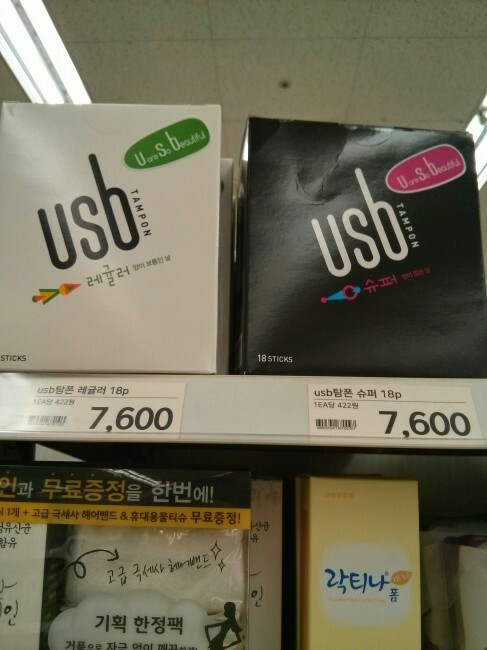 Tampons exist in South Korea. I don’t see this brand everywhere (this is in Lotte Mart), but most convenience stores have tampons. A little pricier than they would be in America, but not pricey enough to justify filling your suitcase with a lifetime’s supply! All the sites I checked before arriving said that tampons were like a white whale or something. Liars! They’re totally everywhere here.